BRUCE & LISA SIGN RECORDING CONTRACT! Lord of the Hymn Now! 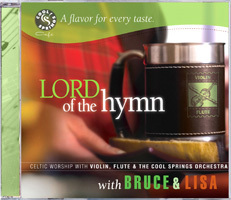 This unique collection of favorite hymns features the virtuoso performances of BRUCE & LISA with the Cool Springs Orchestra. We know you will enjoy the soothing Irish flavor, instruments, and joyous rhythms of Celtic dance played in true worship to our God.